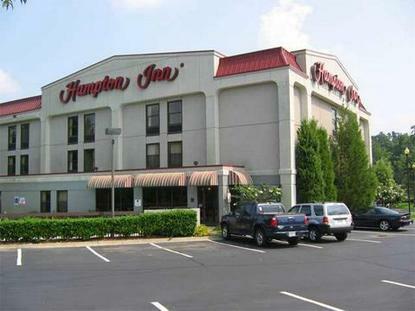 Hampton Inn Atlanta - Lawrenceville is located in the Gwinnett County/Lawrenceville area which is only a few minutes from the cities of Buford, Suwannee, and Duluth. Only a few miles away are Mall of Georgia, Gwinnett Place Mall, Discover Mills Mall, Georgia Perimeter College, Gwinnett Technical College, and Briscoe Field. From the Hampton Inn Lawrenceville you can travel to Downtown Atlanta, Turner Field, Stone Mountain Park, Six Flags over Georgia, and Hartsfield-Jackson International Airport in 45 minutes or less. There are several restaurants with in a five mile radius which include Lil River Grill, a local owned and operated one of a kind restaurant, Ninja Japanese Steakhouse, Chili's, Longhorn Steakhouse, Carraba's, Joe's Crab Shack, Smokey Bones, and Bahama Breeze. We feature 3-stories, 85 rooms,interior corridor hotel. Some rooms with micro-fridge, We have an outdoor pool, exercise gym, and meeting space for up to 30 people. Amenities include complimentary breakfast bar, free local calls with voice mail, Wireless High Speed Internet, and TV with cable and Nintendo. We also offer a few connecting rooms. 2 cribs. All rooms have hair dryers, iron & ironing boards. Same day laundry/valet services weekdays, Meeting/banquet facilities up to 30, and audio visual equipment are available for a nominal fee.